This was my first two days hike and I was quite excited about it since early morning. We all gathered at Deerwalk complex around 6:45 am. There were total of 13 hikers. 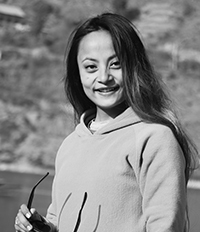 After the arrival of all the members, we headed towards Daman by our college van drove by friendly Suman dai. On our way to Daman, we stopped at Naubise to have breakfast. After having our breakfast, journey from Naubise to Daman started. 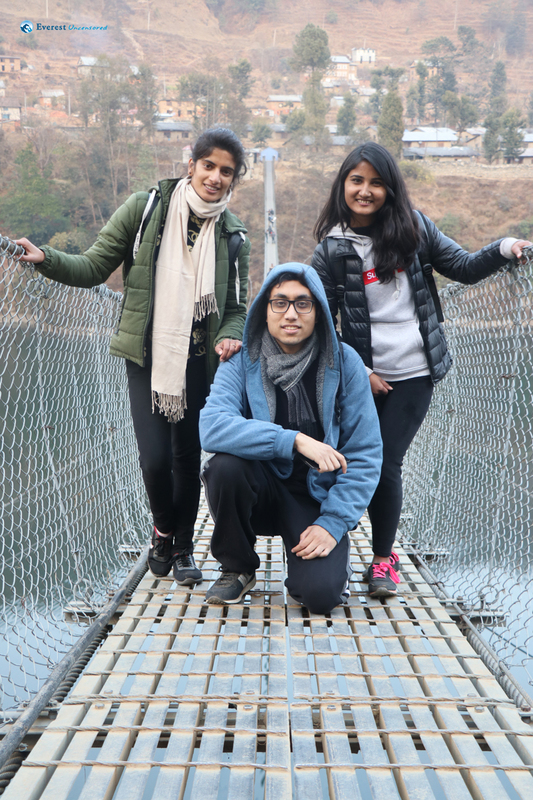 The weather was bright and sunny; however, the shades of trees and forest made the climate chill and breezy. The roads had lots of turnings as a result most of us had nausea and vomiting on our way to Daman. 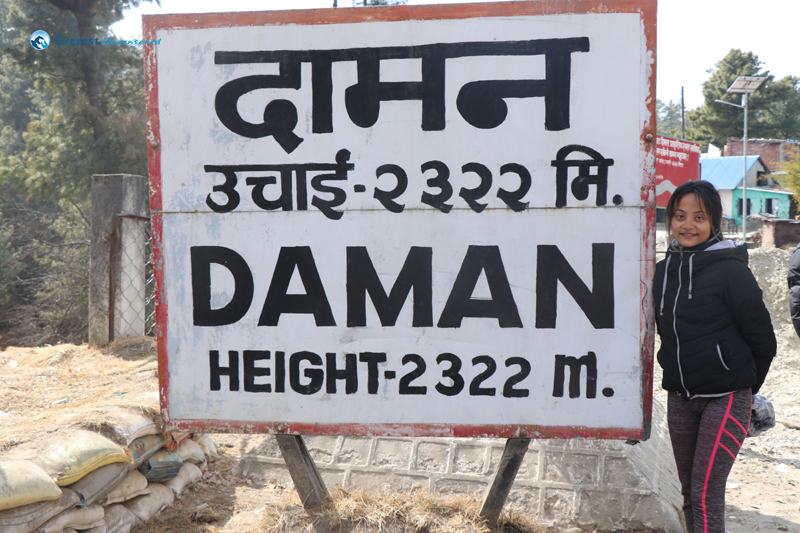 After 5 hours of long drive we finally reached Daman at around 12. The first thing that we got to see there was a board written welcome to daman and that moment everyone felt extremely happy as it was a hectic journey. 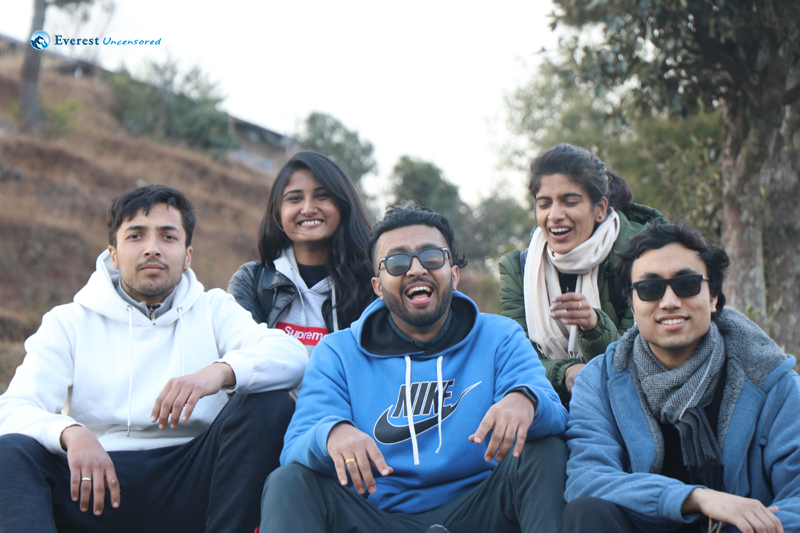 We all got off the van and after purchasing our tickets we went up to the Daman tower from where we could see the most mesmerizing beauty of the nature. After the view we all got so hungry that we rushed towards nearby hotel to have our lunch. It was almost 2 pm when the real hiking began. 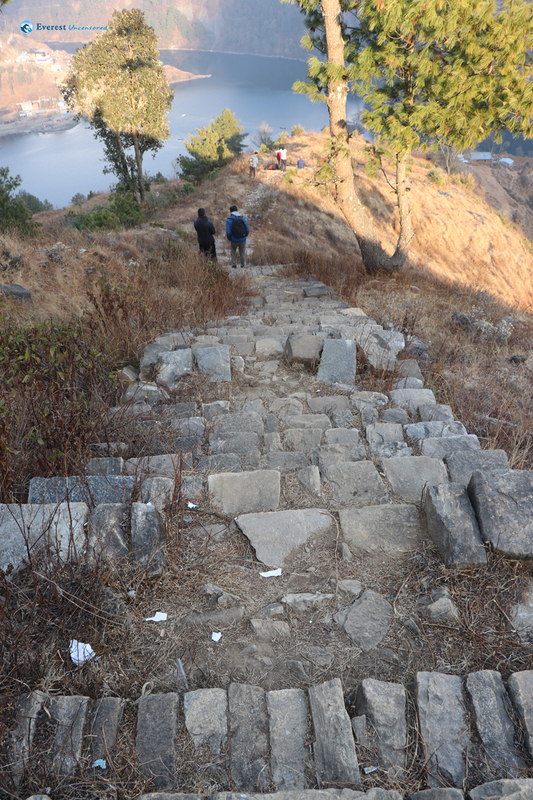 Our hike was from Daman to Markhu. 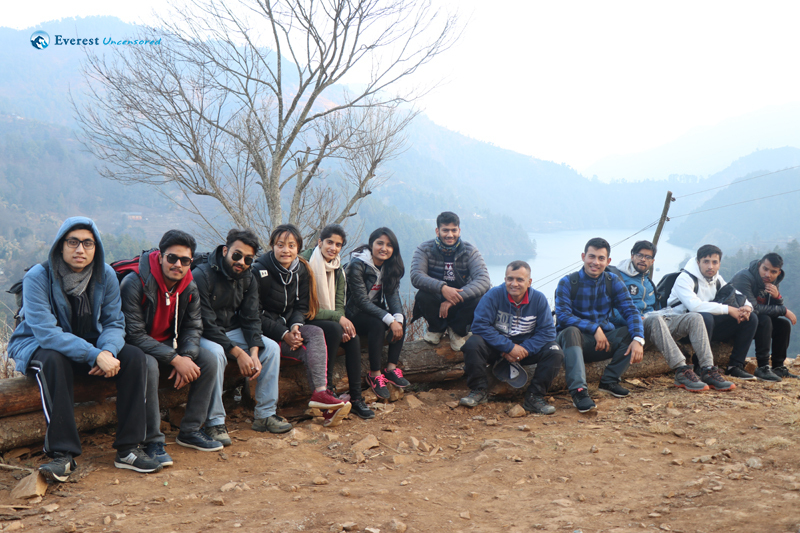 At first, the roads were easy but when Surendra Sir thought of giving us real feel of hike it started getting difficult. With my legs shivering at mid way, it was clearly a difficult hike for me. We reached Markhu at around 5 pm. The beauty of Kulekhani made all of us speechless. We all stayed at a nearby hotel with lots of singing and dancing, playing cards and late night barbeque. 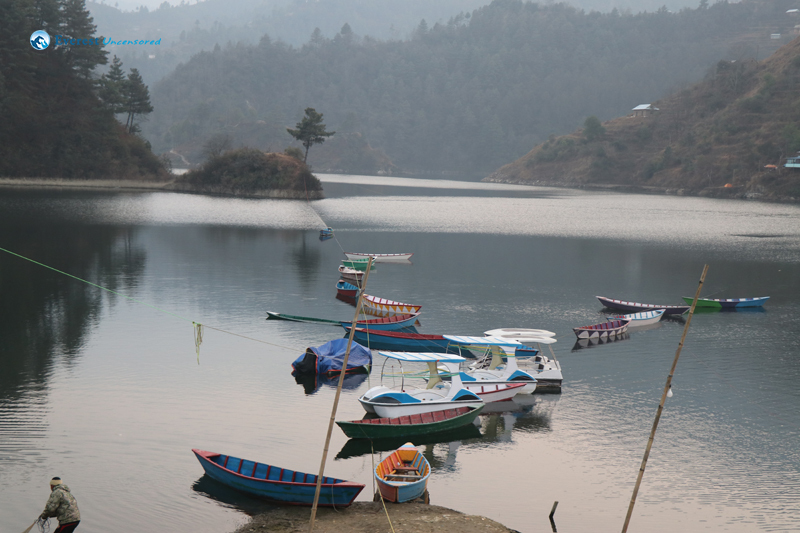 The other day, early in the morning we went for boating in Markhu. 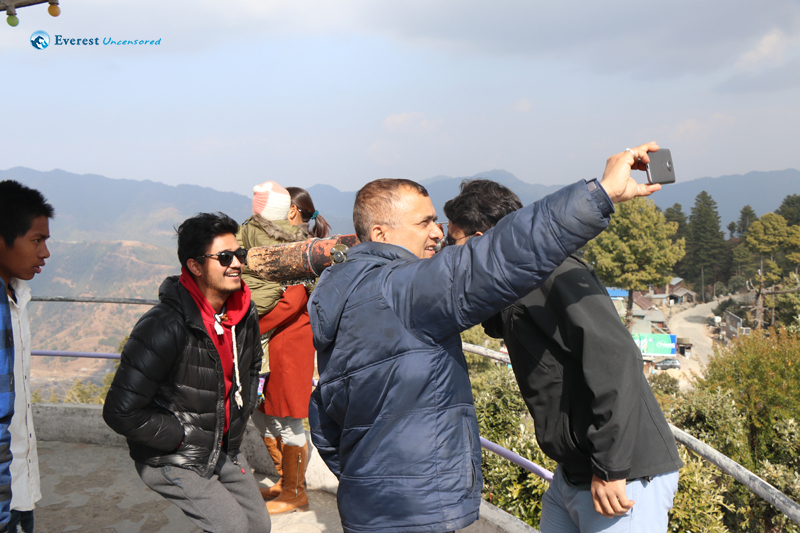 After boating we all went back to our hotel rooms and got ready for the next hike i.e Markhu-Chitlang-Chandragiri. 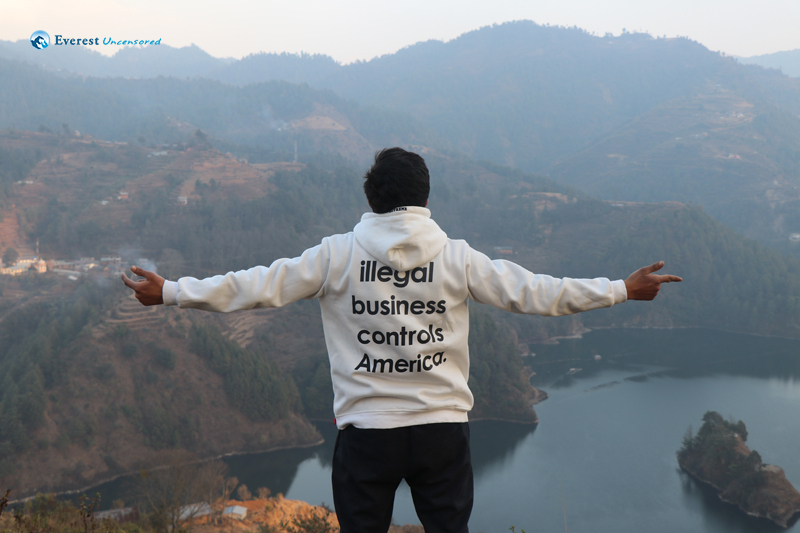 You wouldn’t believe it, but we got two dog who showed us the way from Markhu to Chitlang. They showed a real attachment with us and we too protected them from other dogs. 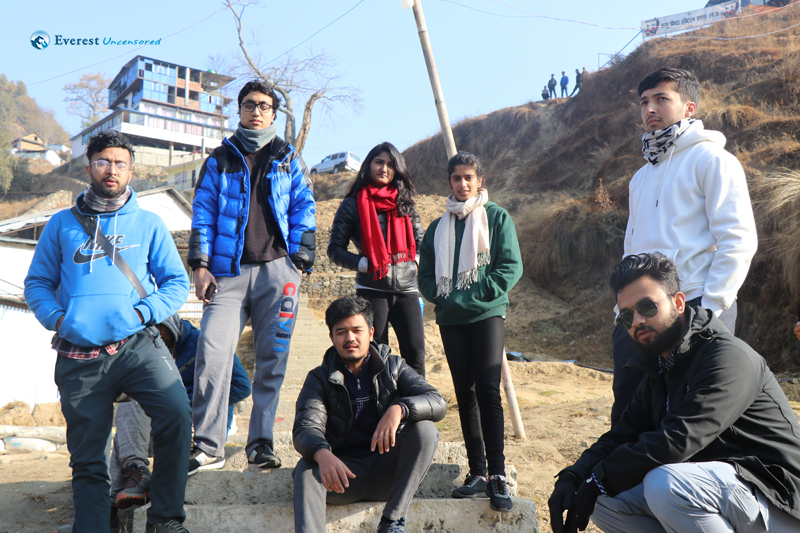 First, we thought they were going to come with us for a few minutes but later on, they showed up till Chandragiri hills. 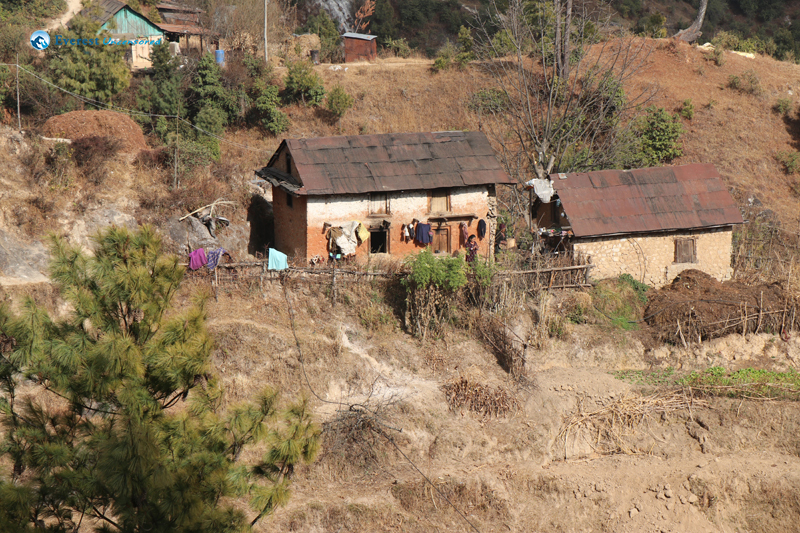 The route from Chitlang to Chandragiri was a really tough one. 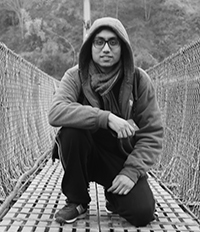 The dense forest and the sound of wild creatures made it even scarier. The steep uphill and downhill route made everyone tired and sweaty. 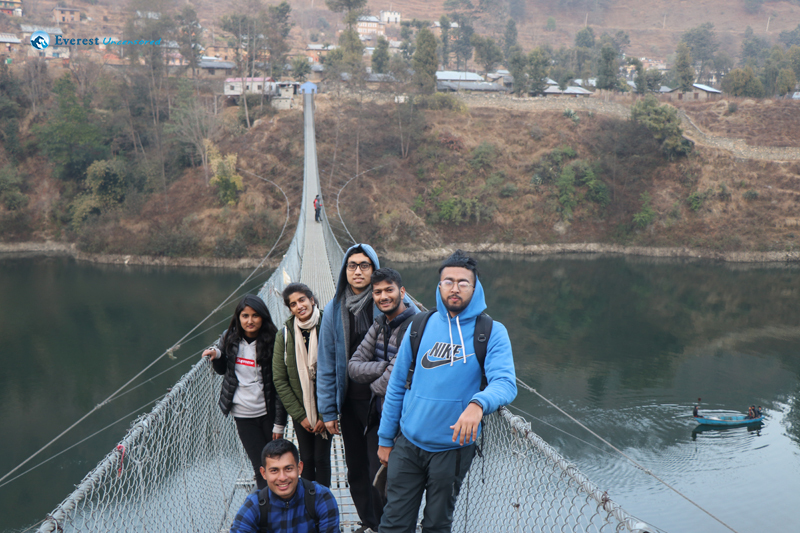 After such a long hike, we finally completed our hike and reached the place where Suman dai was waiting for us with the college van. That moment I actually went and shaked my hands with him saying thankyou dai, you saved me. To conclude, it was a thrilling and an unforgettable hiking experience for me. 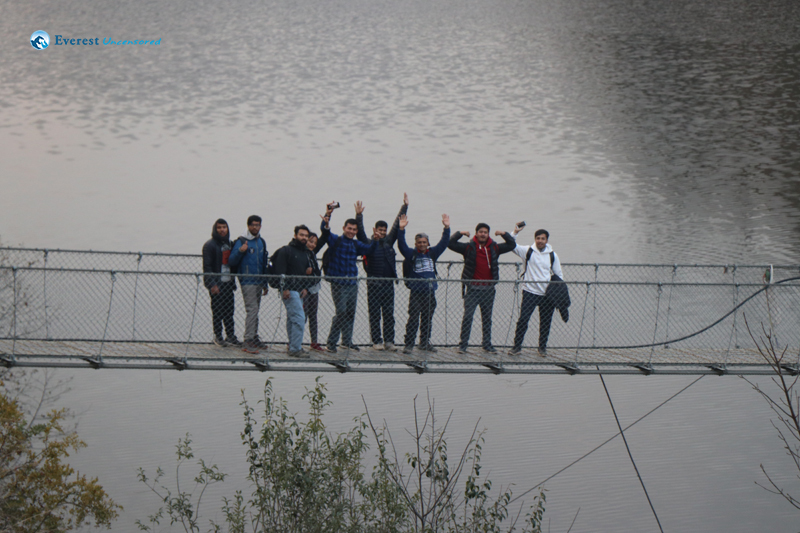 Not only this, it made us closer with each other and got a chance to know more about the lifestyle beyond the valley. Last but not the least, it taught me how to over come my fear and build up my confidence. All thanks to the hiking club. 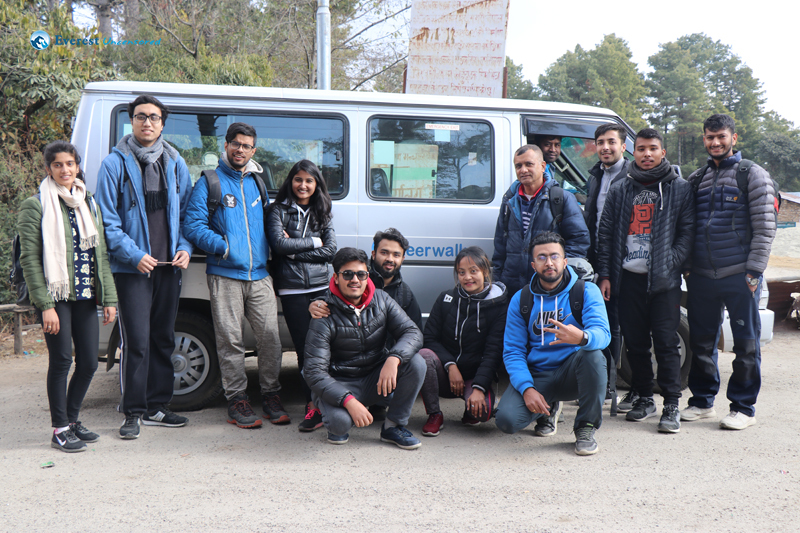 “On 19th January, 2019, a total of 13 hikers set off for a 2-day hike from Daman to Chandragiri. We all gathered at the college at around 6:30 am and left an hour later. Everyone was hyped and pumped for the hike. There were a lot of jokes cracked and we all had lots of fun. After over an hour’s drive, we reached Naubise where we had our breakfast. On a weekend morning, it was a busy place to be. We then set off to our destination Daman, which was a 2-hour drive from that place. We went up the tower and had a view of the whole area. It was a beautiful sight from the top. We then had our lunch at a nearby hotel and around 1 pm, we started our hike. Our destination for the day was Markhu which was a good 3-4 hours hike route. A few of us luckily got to experience “snow” (not really), but it was a fun moment never the less. 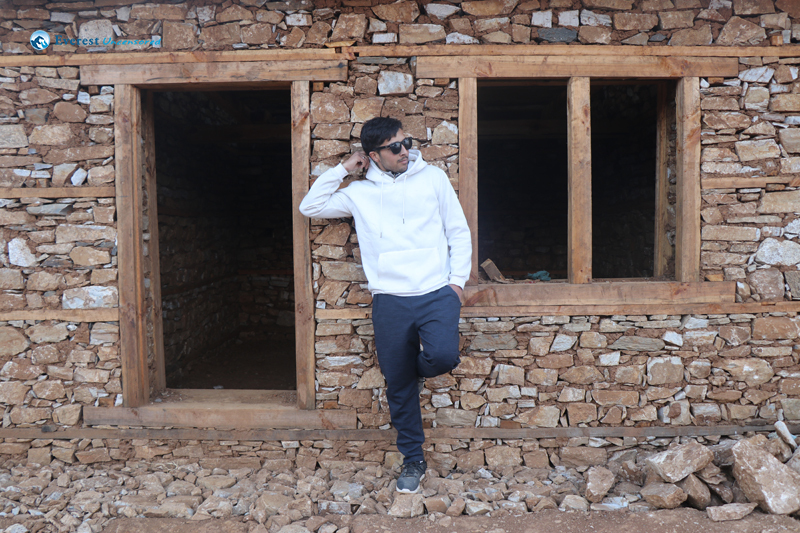 After all the ups and downs and a few shortcuts, we reached Markhu. We got a beautiful view of the whole area from the top which surely was mesmerizing. On reaching the hotel, we all freshened up and had a quick meal. After that we sat for the game of cards for a couple of hours. We then had our dinner and started preparing for the campfire. 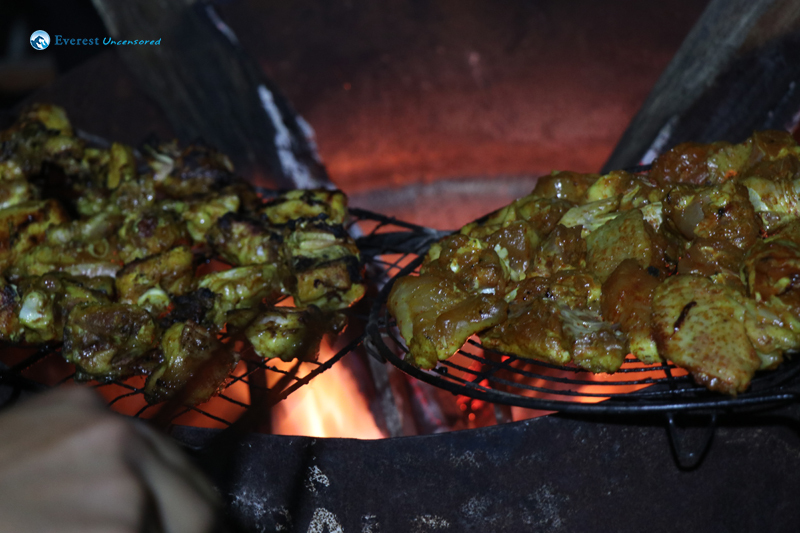 We had a fun time at the campfire with dance and music and not to forget, barbeque. The campfire lasted for around a couple of hours and then we went to our beds at around midnight. The next day we did some boating right after we had our breakfast. 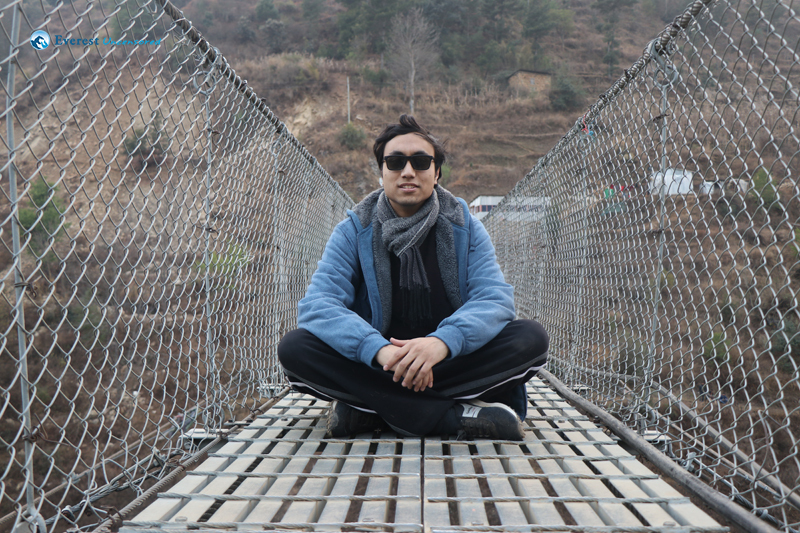 After a few hours spent on that, we headed to out next destination, Chitlang. 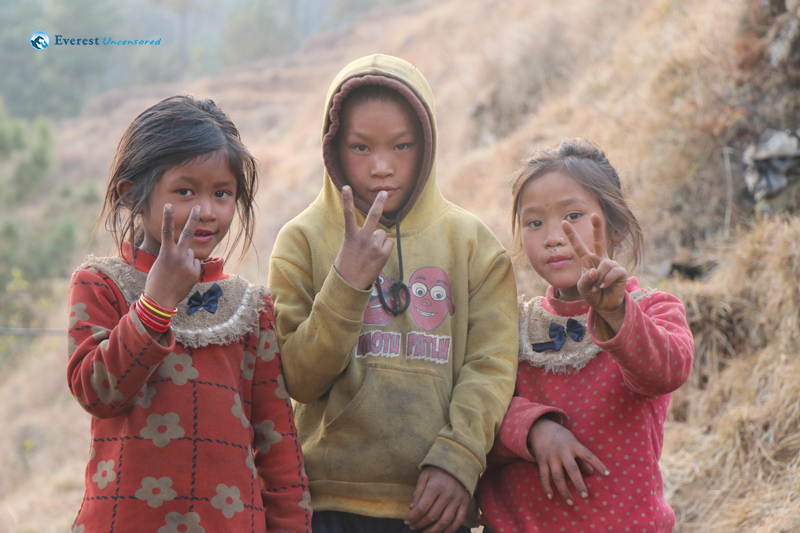 It took us around 2 hours to reach Chitlang where we had our lunch. It was then a long tough uphill hike which took the toll of a few of us. 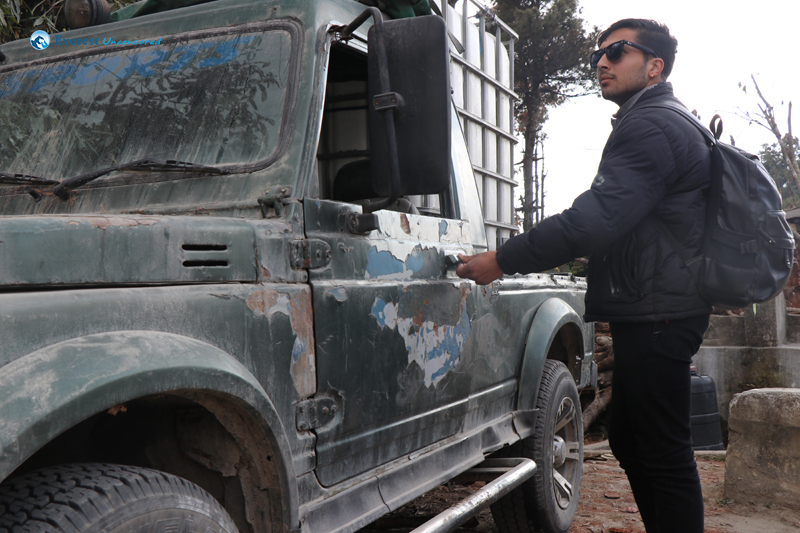 Unfortunately, we could not make it up to Chandragiri Hills and had to come downhill at Thankot where we had our van ready to pick us up.